Signs That You Need a New Roof | Carolina Homechek, Inc.
Are You Seeing Signs That You Need A New Roof? It can be difficult to tell whether or not it is time to replace your roof. Unless you have water pouring into your home every time it rains, you may think that your roof is doing just fine. However, what might actually be occurring, is water seeping in through small and damaged areas of the roof. This water can then soak into the wooden structures of your attic. Before you know it, you’ve got mold and mildew taking over the top portions of your home. If the damage continues, the attic may eventually collapse and you could be facing a lot more trouble than just a damaged roof. To keep your family safe and your house lasting for decades to come, keep an eye out for some of these signs that you need a new roof. One of the most obvious signs that you need a new roof is if you start to notice that the shingles are rising, bending, or curling. You may even see bubble-like deformities on the shingles. This is a result of water slipping beneath the shingle and the layer below it. If you notice bubbling or warped shingles all over your roof, it may mean the roof has reached the end of its useful life. If you noticed recently that there are a lot of granules in your gutter or around the house on the ground, then the shingles are old and worn out and should be replaced. Signs that you need a new roof first begin with those granules. The granules on the shingles of your roof protect against sun and rain damage. Over time, the granules are stripped off by severe weather. You can also tell if the granules are being washed away by any discoloration that you notice on the shingles. Darker areas on lighter colored shingles are also an indication that the granules are missing. Once you notice that many of the shingles are bald, it may be time for a new roof. Without the granules there for additional protection, your shingles are sure to wear down quickly. 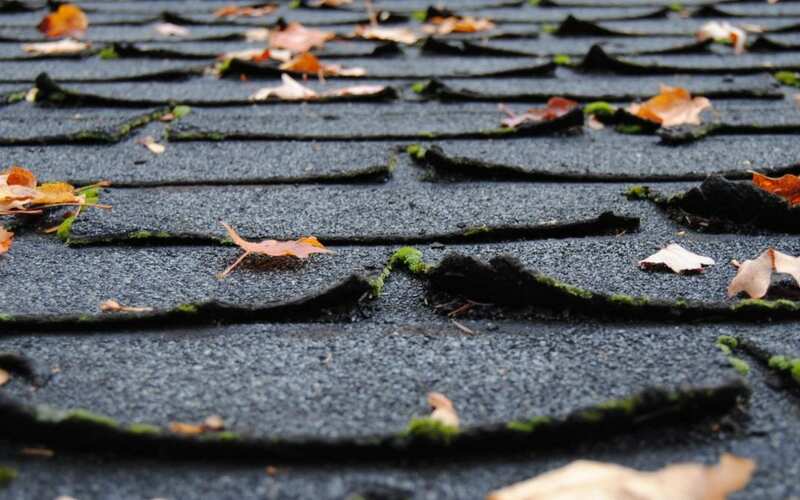 While this may require looking at your roof from different angles, you should examine your roof for one of the more serious signs that you need a new roof. A sagging roof could indicate a big problem. It suggests that the water has already entered your attic and causing structural damage. To help your roof retains its structural integrity, you should have a roof inspection and replace the roof as soon as possible. Every roof has a limited lifespan. When it comes to something as important as your roof, you should opt for preventive measures instead of reacting to a problem. Not only will it save you a lot of money in the long run, but having your roof replaced at the right time could prevent property damage when a storm comes through. Carolina Homechek serves Charlotte and the surrounding areas with home inspection services. Contact us to schedule your appointment.